This purpose-built off-road driving track is a novelty and a unique attraction in the Slovak capital. 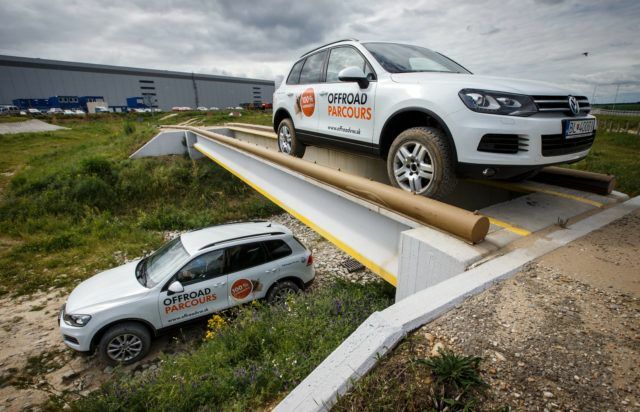 It was created by the Volkswagen plant in Bratislava where the company’s flagship off-road SUV the Volkswagen Touareg is produced. The 1,488-metre-long circuit with its 26 distinct features challenges each driver’s skills as well as provides an opportunity to fully experience Touaregs performance in extreme situations. The track’s sand bed mimic desert terrain, gravel and river-basin driving.